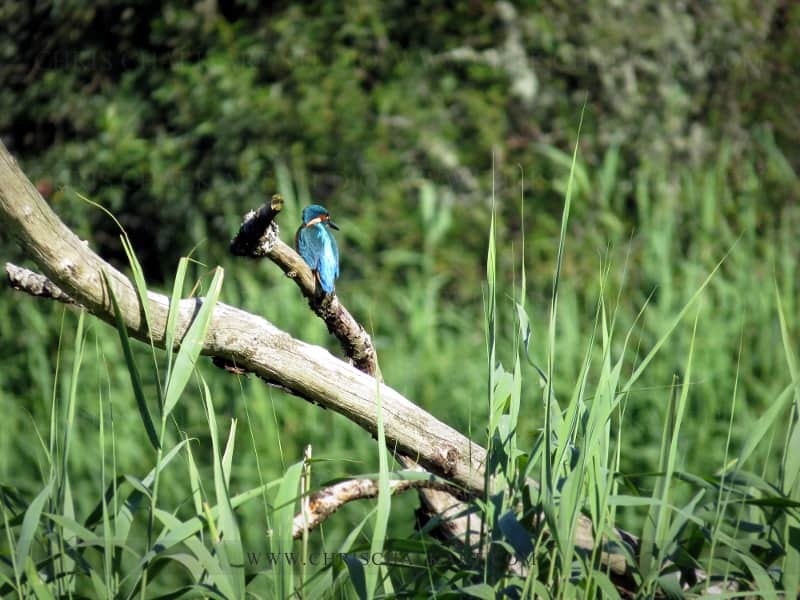 Kingfishers ( Alcedo atthis ) are surely one of Britain’s most beautiful birds, and the Teifi valley here in west Wales has a very healthy population. 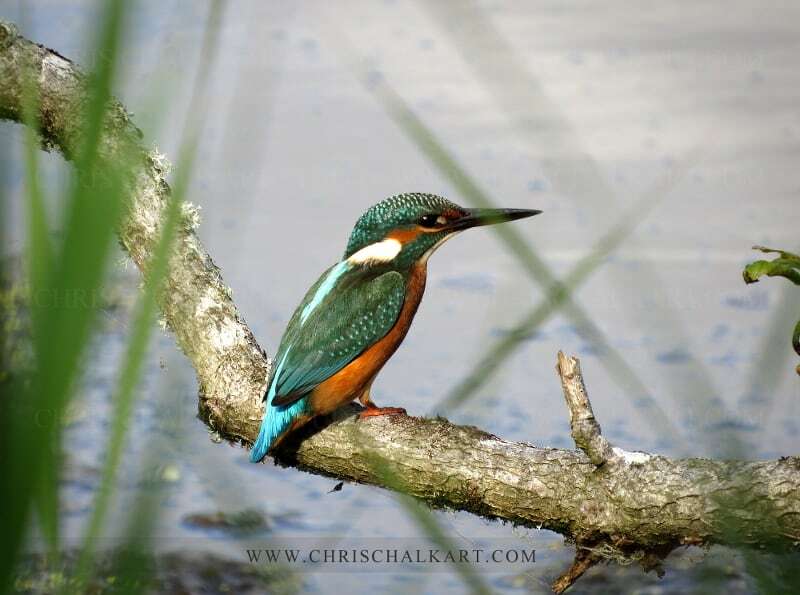 Of all the UK’s birds the kingfisher is perhaps the most unmistakable for any other species, no other UK bird has the iridescence or blue turquoise colouring of a kingfisher. 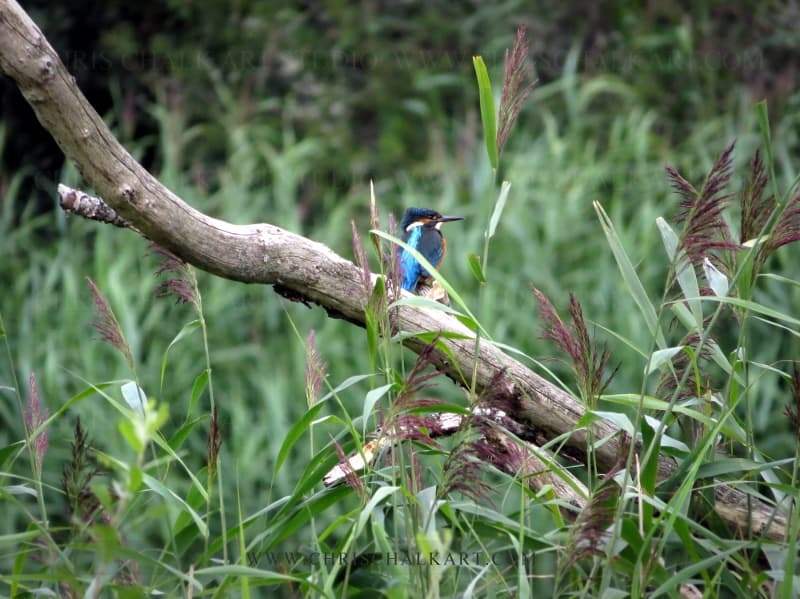 Usually seen near fresh water and roughly the size of a large sparrow it’s easy to spot in flight too; if it’s iridescent blue, travelling at lightening speed whilst letting out the occasional high pitched ‘cheep’… it’s probably a kingfisher. 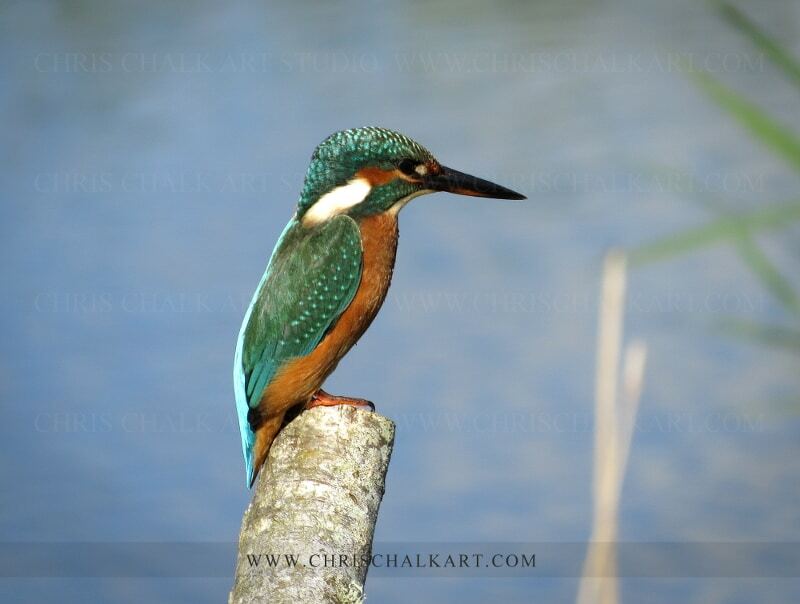 When you see a kingfisher in bright sunlight the colouring is stunning. This branch is a favourite fishing perch, shortly after this photograph was taken she dived and came up with a small fish. 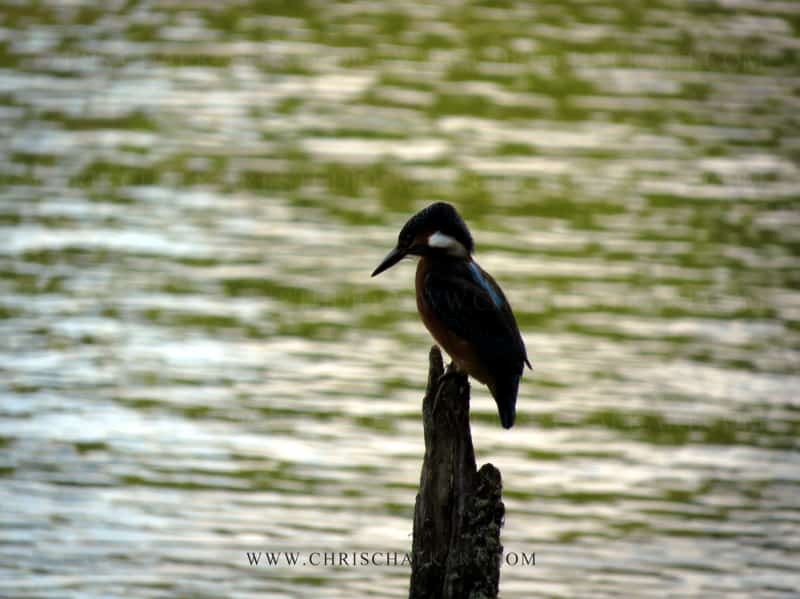 This kingfisher sat quietly on this branch for 15 minutes. 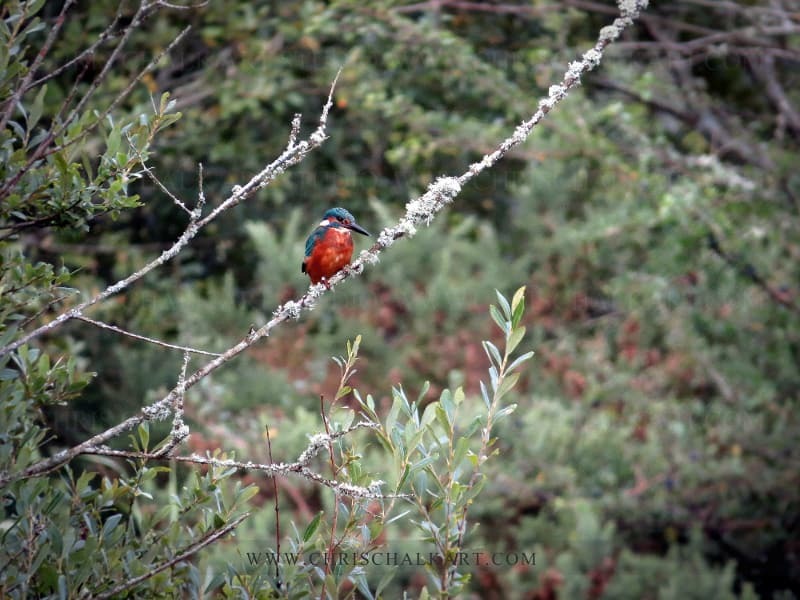 Kingfishers are exceptionally hard to photograph fishing, you have to pre-empt the dive and take your shot early. I just love the colours in this photograph, beautiful. No other UK bird has a silhouette quite a Kingfisher. 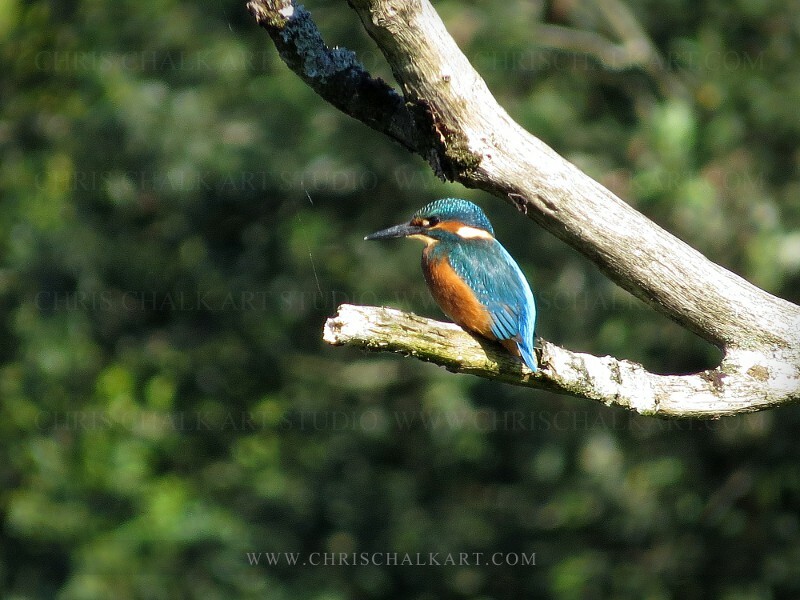 A rather raggedy looking male kingfisher ( Note the ring on it’s right leg ). Female adult, note the orange legs ( juveniles have dark legs ) and slightly orange lower mandible ( males have black lover mandibles ). 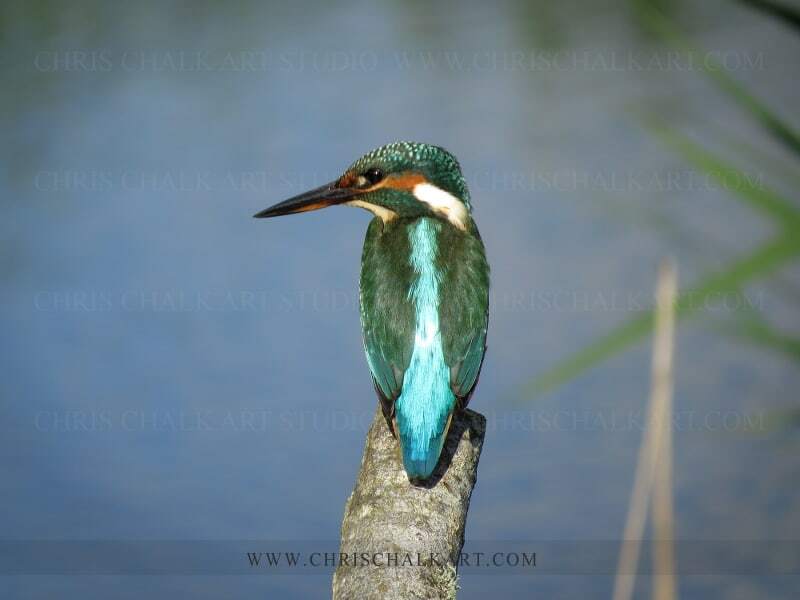 You can see Kingfishers throughout the UK, although rarely in the Northwest of Scotland or Northwest of Ireland. 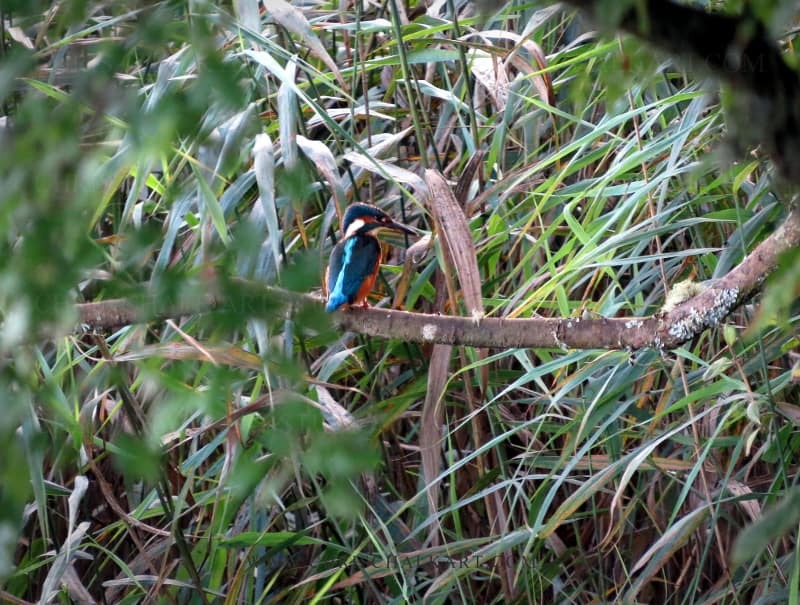 They feed mainly on small fish and aquatic invertebrates, hence our British kingfishers are mainly seen near bodies of fresh water, river and streams. 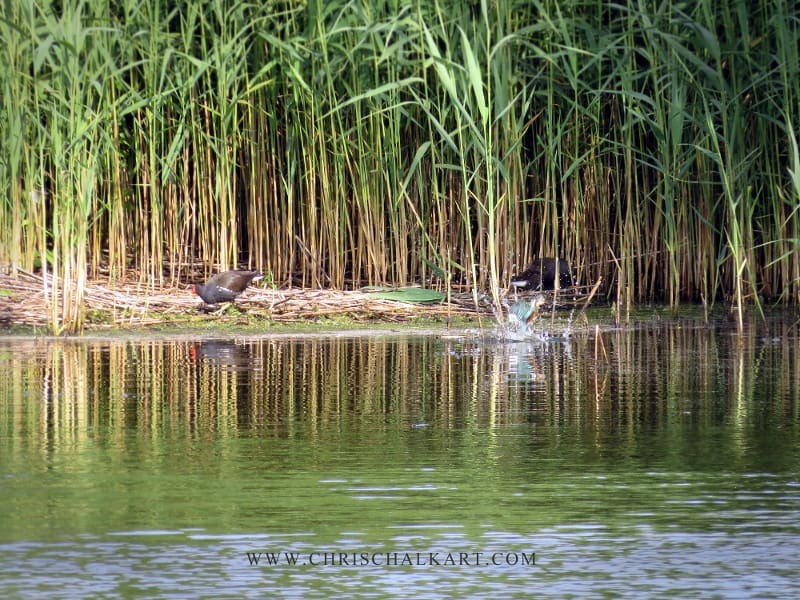 I have seen them fishing in harbours and brackish waters too however. All of these images and video were taken with a Canon SX50 HS.